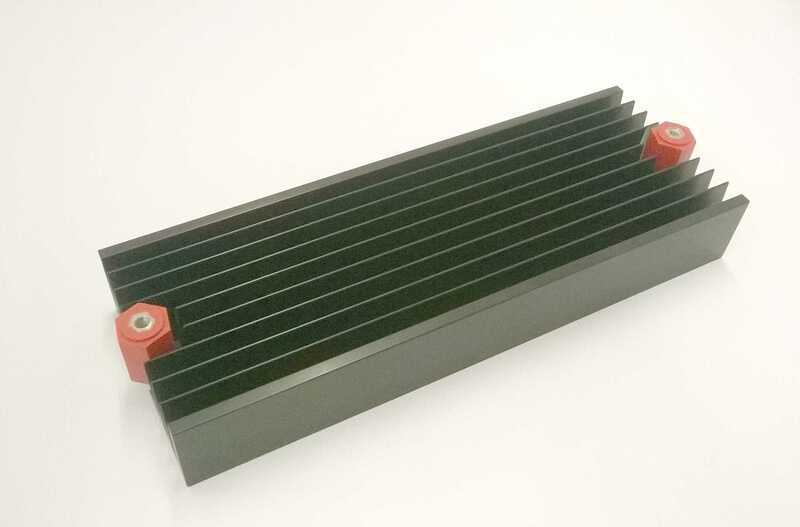 This finned, air cooled heatsink can be used to significantly extend the performance of the 4QD-200/300. The blue line on this graph shows the internal temperature rise compared to the standard model. 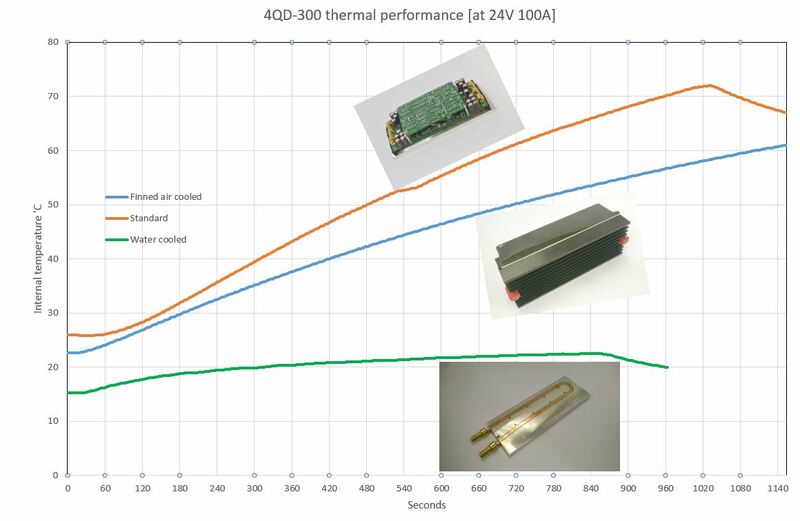 This graph was produced with the 4QD-300 in still air, if a PC case type fan is added then the performance will be further enhanced. The red mounting pillars allow for a 5mm stand-off from the mounting surface. It is quite easy to retro-fit this heatsink to the 4QD-300. The control board needs to be removed and then 8 x 3mm screws undone to remove the existing baseplate.